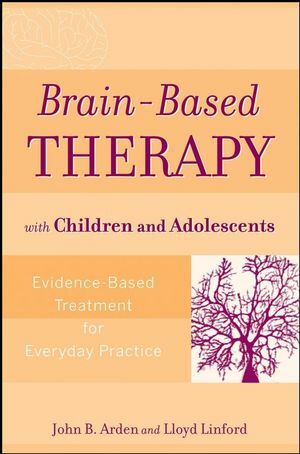 Designed for mental health professionals treating children and adolescents, Brain-Based Therapy with Children and Adolescents: Evidence-Based Treatment for Everyday Practice is a simple but powerful primer for understanding and successfully implementing the most critical elements of neuroscience into an evidence-based mental health practice. Written for counselors, social workers, psychologists, and graduate students, this new treatment approach focuses on the most common disorders facing children and adolescents, taking into account the uniqueness of each client, while preserving the requirements of standardized care under evidence-based practice. JOHN B. ARDEN, PhD, is the Director of Training for the Kaiser Permanente Medical Centers for the Northern California Region. In his capacity, he oversees the internships and postdoctoral psychology residencies in twenty-two medical centers. He is the author of nine other books. LLOYD LINFORD, PhD, serves as Chair-man of Psychiatry and Chemical Depen-dency Best Practices for Kaiser Permanente's Northern California healthcare system, is a clinical psychologist at Kaiser Permanente Oakland Medical Center, and is in private practice in Oakland, California.